I was round at my chum’s boutique flower farm this morning at Roswarther Farm…we were drinking fine Asti Spumanti and celebrating the blossoming of her wonderful cut flower patch. 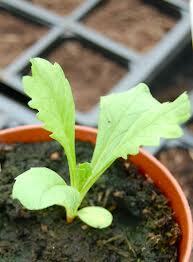 Mari had sown some Scabiosa ‘Crown’ last Autumn and they were doing swimmingly well. 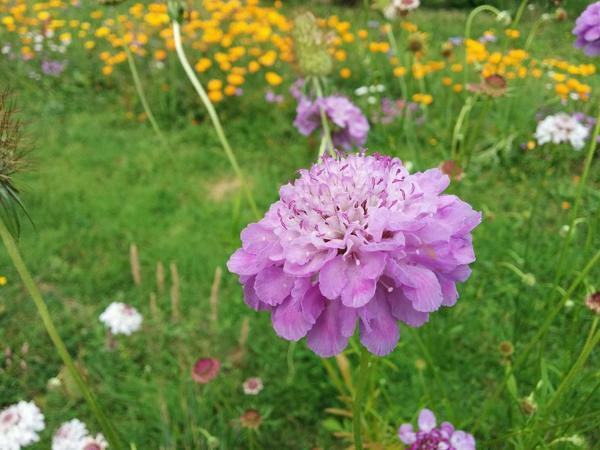 Autumn Sown Scabious At Roswartha Farm. 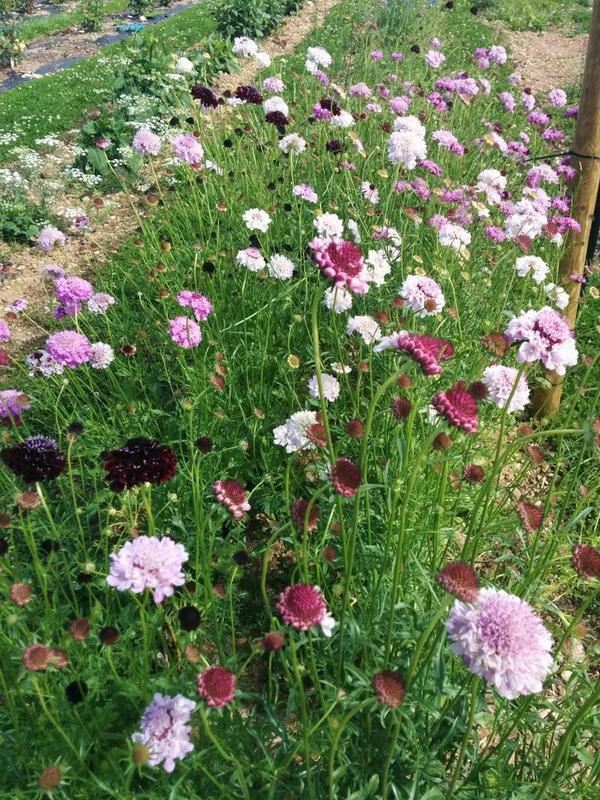 You can direct sow your autumn sown scabious in September…earlier right up north…later right down south in the Costa Del Cornwall. I have a peculiar habit of making a sowing in three inch square pots but instead of germinating them in the greenhouse, I leave them outside…then a few weeks later I plant them exactly where I want them. This is a little more work but it helps bring out the German in me. 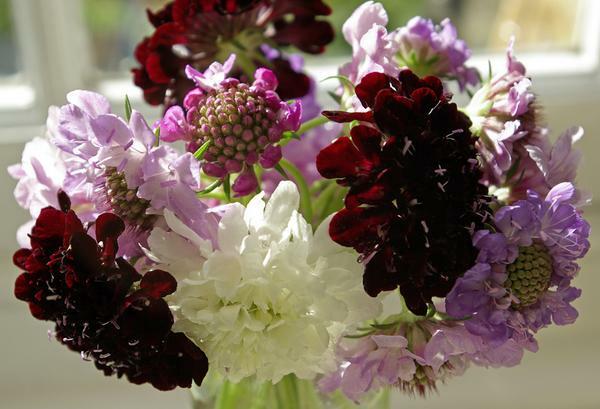 Scabiosa ‘Crown’ At Higgledy HQ. Thx to @PrettyFloralUk for sending me this pic…very lovely it is too. For more on Autumn sowing, click over to ‘Best Flowers To Sow In September’.